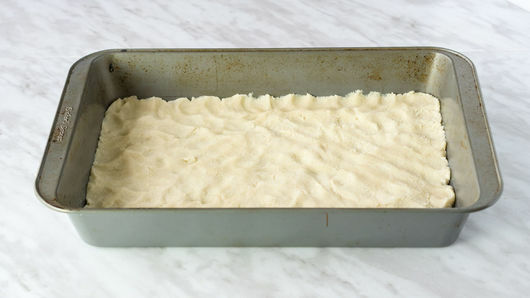 Heat oven to 350° F. Press 1 roll (16.5 oz) Pillsbury™ refrigerated sugar cookies evenly in bottom of ungreased 13 x 9-inch pan. In large bowl, beat 3 packages (8 oz each) cream cheese, softened, and 1/2 cup sugar with electric mixer on medium speed until blended. Add 3 eggs, one at a time, beating on low speed after each, just until blended. 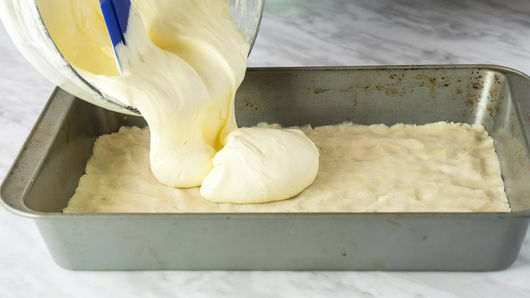 Spread cream cheese filling in pan over cookie dough. Place 1 cup lemon curd in small resealable food-storage plastic bag; seal bag. Cut off small bottom corner of bag. 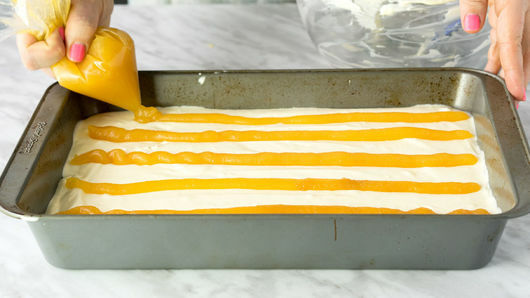 Squeeze lemon curd on cream cheese mixture in 5 thick lines going the length of the pan. Use knife to pull all of lemon curd lines from top to bottom (side to side) through cream cheese mixture at 1-inch intervals. Bake 55 to 60 minutes or until filling is set in center. Remove from oven to cooling rack. Cool 30 minutes. Refrigerate at least 1 hour 30 minutes. To serve, cut into 6 rows by 3 rows. Store covered in refrigerator. 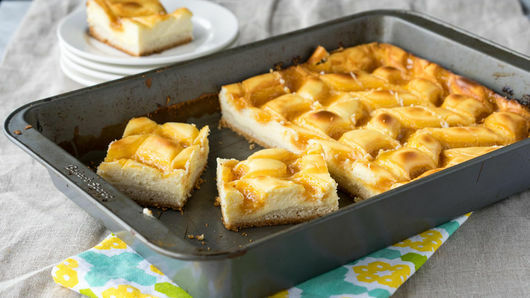 Gently sprinkle the tops of the cooled cheesecake bars with powdered sugar for an elegant touch. 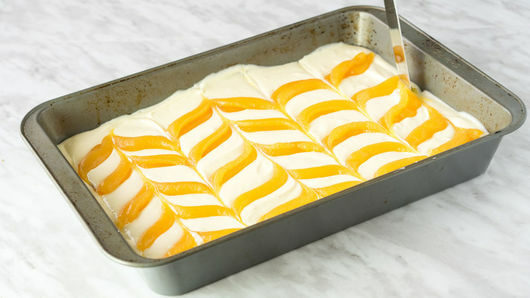 To easily remove dessert, line the pan with foil, extending over the sides of the pan. 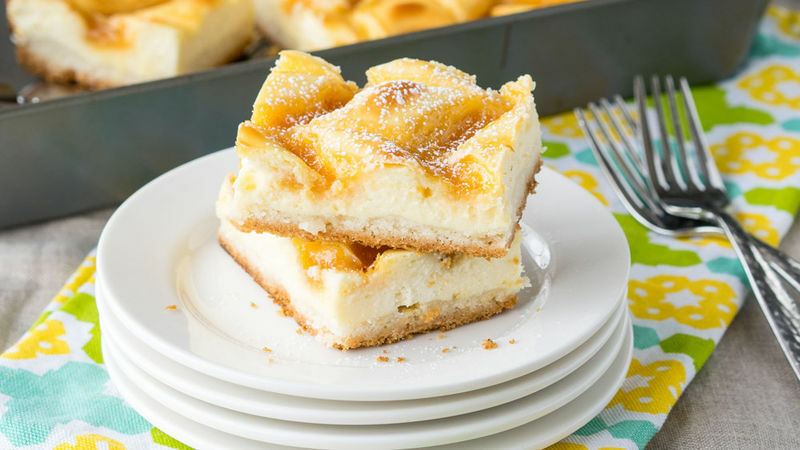 Before cutting into bars, lift the cheesecake from the pan using the foil handles.